A seven race points series raced on the 2nd weekend of the month at Emerald Coast starting in April and ending in October. Drivers will be competing for cash payouts on race day and awarded points which count towards a track championship. Although strongly encouraged, becoming an NHRA member is not a prerequisite to enter the race or our points series. All NHRA Summit Racing series classes will utilize a .500 full tree. The bye will be determined by best reaction time during time trials or the elimination round prior and will carry over. Buybacks will be “first or” second round buyback and will be reentered into eliminations. 10 points will be assessed for breaking the beams in the first round of eliminations and every round win, 5 bonus points assessed to winner, 3 bonus points assessed to runner up, 1 bonus point assessed to semi-finalists. 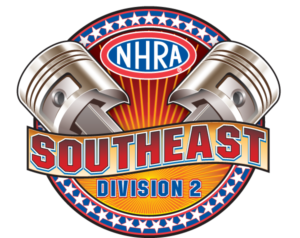 In order to represent the Emerald Coast Dragway at the Division 2 finals, drivers must participate in three of the six series races between April and September as season points and team rosters must be submitted no later than the Monday prior to the finals in the first week of October. Entrants must also have a current NHRA membership and Competition Number prior to entry to the event. 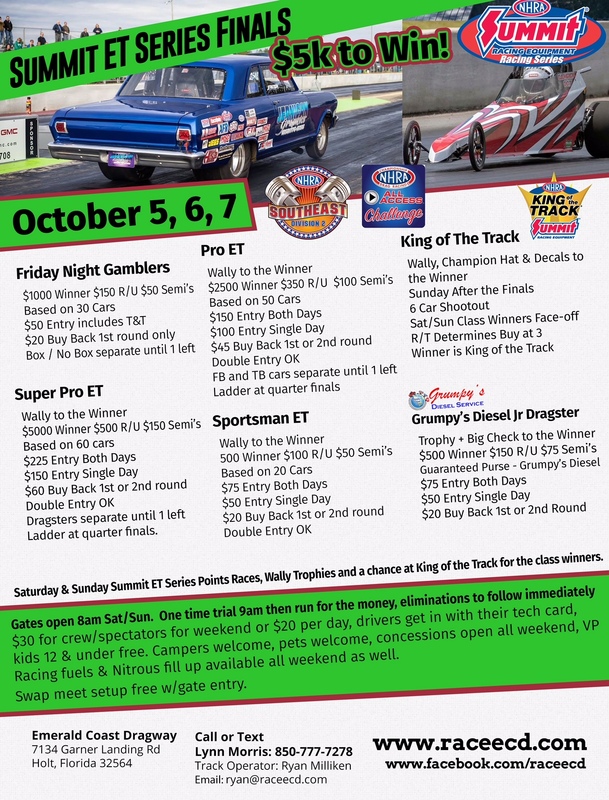 October 5/6/7, two main events, Wallys and a chance at king of the track! Next race – October 5/6/7, two main events, Wallys and a chance at king of the track!